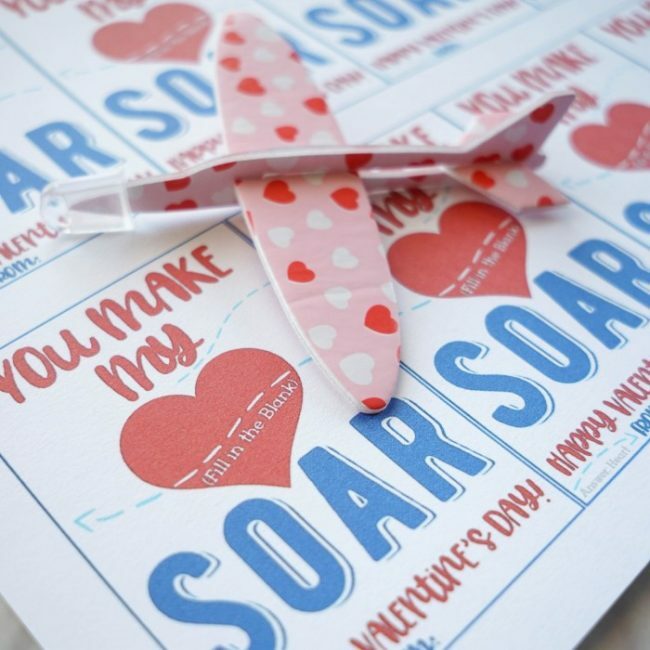 You are here: Home / Holiday Ideas / You Make My Heart Soar – Airplane Valentines! 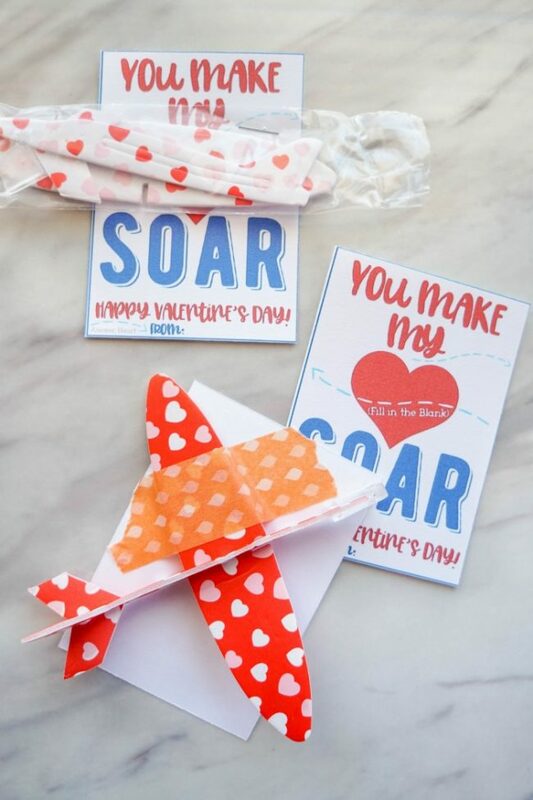 You Make My Heart Soar – Airplane Valentines! Is there anything cuter than airplane valentines? I think not! All the boys will go crazy for this one! 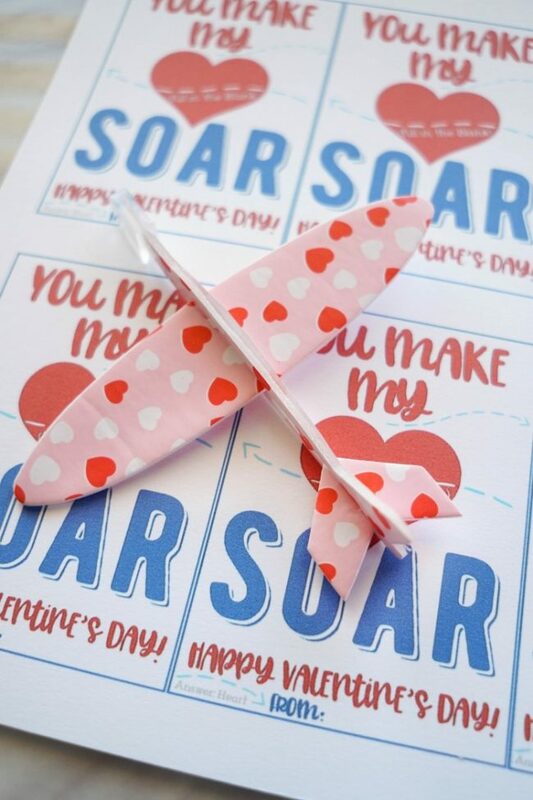 Grab our free printable of a darling “You Make My Heart Soar” valentine cards and attach foam airplanes for a cute, cheap, and simple Valentine’s day card everyone will love! I have a houseful of all boys, so I’m always looking for ways to make Valentine’s Day cards that will interest them, but still be oh-so-cute and perfect for this pink & red holiday. This year, it’s all about the airplanes! 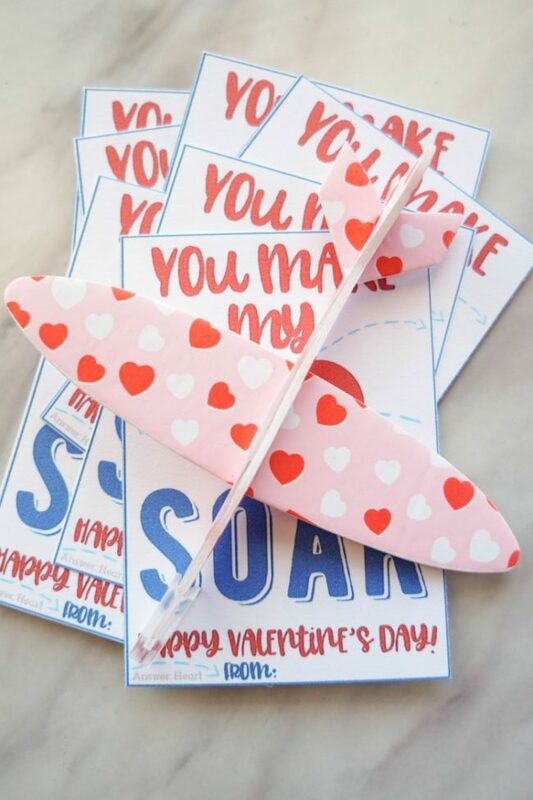 Each year, I’ve made different homemade valentines that they’ve taken to pass out at school, so if you’re looking for even more cute ideas be sure to pop over to some of our other popular valentine cards. They are all printable and easy to make, and most are candy-free options! There’s a cute spot for a fill-in-the-blank puzzle, neatly disguised in the heart design so it’s easy to guess, but adds another fun aspect to the card. 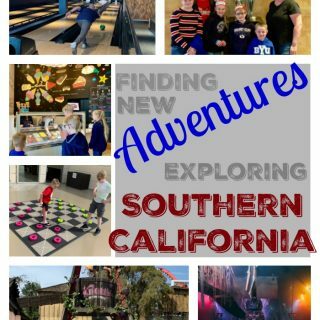 Kids surprisingly like easy, simple to solve puzzles best! 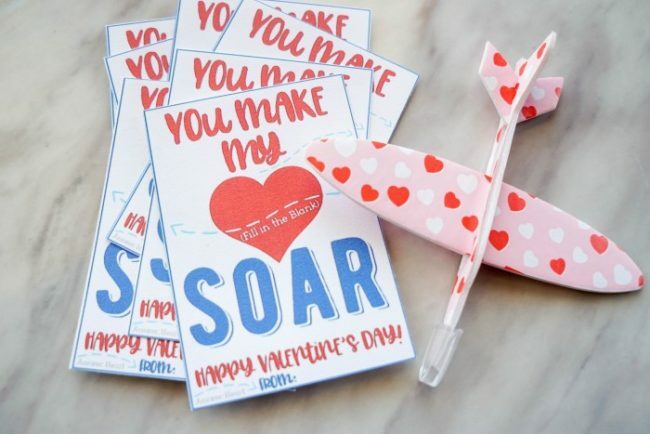 All you have to do in print out the airplane valentines on cardstock. Each sheet will make enough for 8 valentine cards to pass out. So in most cases you’ll only need 3-4 sheets of cardstock to make enough valentine’s day cards for the whole class. You then attach a mini foam airplane. We used this really cute airplanes set which has 48 gliders for a steal! 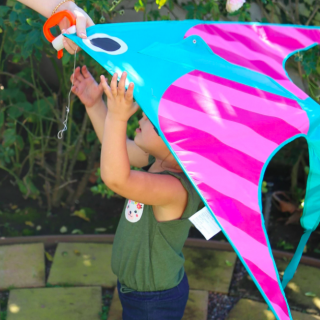 You can first assemble the airplane and tape it to the back of the card using a piece of washi tape. You’ll want to use washi tape as it will keep from ripping the airplane or card when they pull it off. 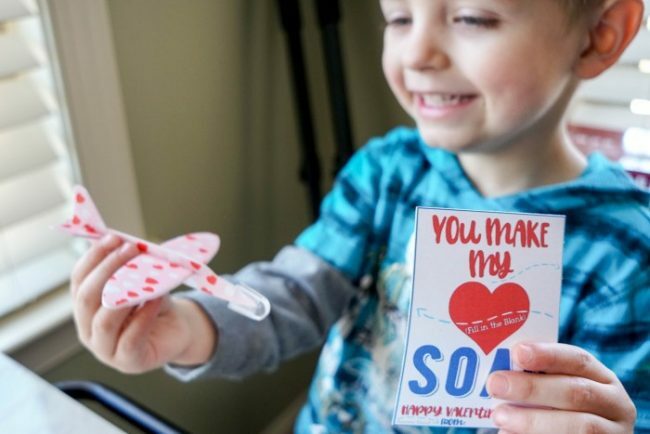 This option works best if you are planning valentines for a preschool or young kids as they will otherwise need assistance putting their foam flyer together. Another option is to simply staple the foam flier still in it’s plastic wrap. This is a good idea for older kids that would like assembling and in classroom settings with a lot of kids. Either way works great and results in an excited, and happy, kiddo who just can’t wait to fly the airplane! 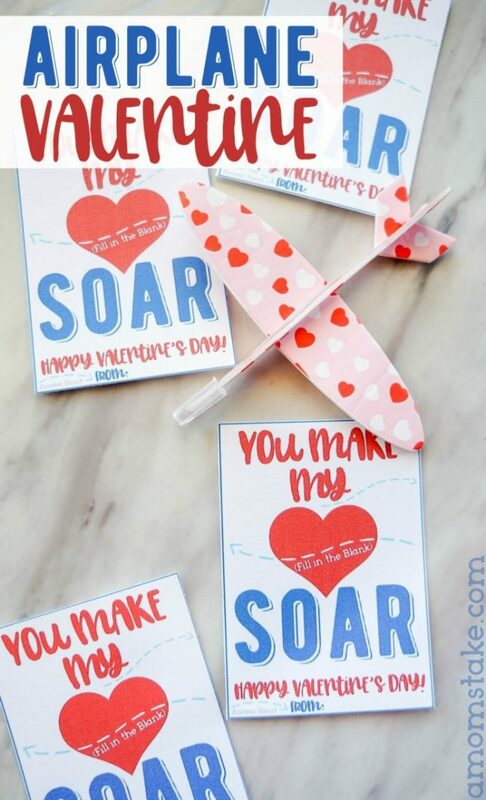 We’re sharing this darling airplanes valentine printable completely free! 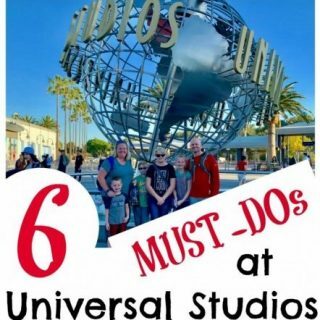 To download the printable, just click the link below to open up the printable PDF formatted with 8 valentine’s day cards per page! Now all that’s left to do is shop for the essentials to get started! Loved these valentines cards? Save this post! Previous Post: « Primary Singing Time Binder – Staying Organized! I love these airplane ideas, I am definitely pinning for later. Thank you for sharing this fun possibility and have a great day, friend. These are so adorable! I love them~ Sharing on FB & Twitter. Thank you for sharing on Merry Monday! 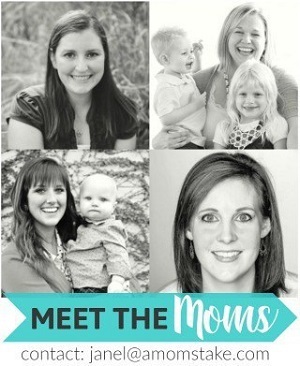 Hope to see you, ladies, next week! How cute is this? I’ve never seen a Valentine like this. So unique! This will be fun to make for the kids’ teachers. 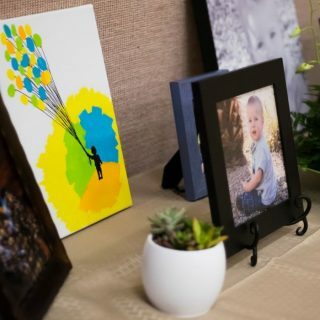 Very cute and perfect for little boys! With so many schools now not allowing candy Valentine’s, you’ve got to become more creative and these are perfect. Visiting from Inspiration Monday party. That’s such a cool idea. I used to love making paper airplanes but never tried to make my own foam ones. May do just that part of the craft! Such creativity! These are great ideas for Valentine’s Day. I am going to share them as I have cousins with younger kids that might enjoy making them. I remember when I was a kid we always bought them at the store to give out, so that is what I did with my own kids. If I was able to do it over I would probably be more creative. What a fun idea. My girls are in middle school but still enjoy making valentines for their friends and then give cookies or a fun treat with them. These are so clever and cute! I miss the days when my kids were doing this kind of thing. They grow up too fast! These valentine ideas are awesome. Gonna try one for this Vday.